As we celebrate this Memorial Day weekend, it is only fair that we take a moment to commemorate its purpose. Memorial Day “commemorates the men and women who died while in the military service.” This rather plain, stark explanation of Memorial Day doesn’t do justice to its significance. The reality is we, as a nation, enjoy the quality of life that we enjoy due to the ultimate sacrifices of those that died while defending our country’s values. Memorial Day is the day that we put aside our political ideals and differences. It is the day that we stop fighting amongst ourselves. It is the day that we pay tribute to those that answered their nation’s calling….obeyed their orders…and died for doing so. It is the day we thank…and embrace…those that lost their loved ones. The wives….the husbands. The daughter and son that never met their mother or father. The parents that raised their son and daughter to do the right thing…only to die doing the right thing. Memorial Day is the day that we stop…to remember that we are Americans. 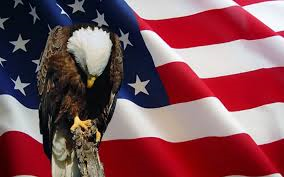 As a Veteran, I stand tall, and salute those who fell…and to those who lost their loved one. Thank you for your sacrifice!